Many people turn fifty and start planning for retirement, while others look forward to fulfilling their life’s dreams. Whether it’s focusing on a new career – or discovering a rewarding hobby – many successful late achievers find a craft or profession they enjoy, and are often rewarded with more financial security – and much less stress. 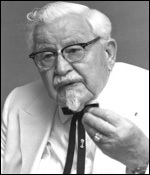 Harland Sanders owned a small gasoline station in Corbin, Kentucky, where he converted a portion of his living quarters at the station to serve customers chicken dishes that he prepared in a back room. As local popularity grew for his chicken, he moved to a motel restaurant and worked as the chef. After the construction of Interstate 75 reduced customer traffic at the restaurant, in 1952 at age 62, Sanders started franchising Kentucky Fried Chicken restaurants using $105 from his first Social Security check to fund visits to potential franchisees. You got to like your work – because it is worthwhile, that it makes a difference. The next several years were an overwhelming success, and Sanders sold his Kentucky Fried Chicken corporation a dozen years later in 1964 for $2 million (almost $14 million in today’s dollars). Now a division of Yum! Brands, there are more than 14,000 KFC restaurants in 80 countries. 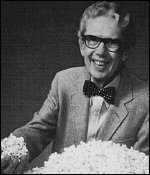 Orville Redenbacher spent most of his life in the agriculture industry, serving as a Farm Bureau extension agent in Indiana, and later at Princeton Farms in Princeton, Indiana. Since his childhood Redenbacher had an obsession for developing the perfect popcorn hybrid. Orville Redenbacher’s Gourmet Popping Corn was founded by Orville Redenbacher and Charles F. Bowman in 1965 when Redenbacher was 58. To this day it is still the #1 selling brand of popcorn. 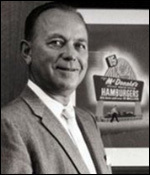 Ray Kroc was a milkshake mixer salesman, who traveled the country looking for opportunities to sell his machines to restaurants. While visiting one of his customers in 1954, he decided to buy what was (at the time) a small-scale McDonald’s Corporation franchise. Over the next few decades, Kroc built it into the most successful fast food operation in the world, amassing a $500 million personal fortune in the process. If you love what you’re doing and you always put the customer first, success will be yours. Today, McDonald’s Corporation is the world’s largest chain of hamburger fast food restaurants, with 31,000 restaurants around the world, serving 47 million customers every day. Reagan’s political aspirations were seen as early as 1947 when he was elected President of the Screen Actors Guild. More B-films followed until he joined the campaign of conservative presidential contender Barry Goldwater in 1964. 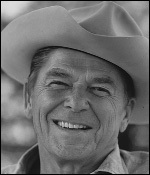 Reagan stressed his belief in the importance of smaller government in a fundraising speech called “Time for Choosing” that helped catapult his political career and resulted in his nomination for Governor of California. My philosophy of life is that if we make up our mind what we are going to make of our lives, then work hard toward that goal, we never lose. From B-List actor to the Governor of California in 1967, 56-year-old Ronald Reagan wasted no time putting his philosophy of life to work. He was elected to two terms, then after leaving the Governor’s office in 1975, he would become the 40th President of the United States six years later at age 70. Today, Ronald Reagan is generally regarded as one of the most popular American Presidents, with a legacy that often credits him with the peaceful end to the Cold War. 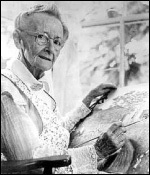 Anna Mary Robertson Moses (better known as “Grandma Moses”) began painting in her seventies after abandoning a career in embroidery because of arthritis. An art collector first discovered her paintings in a Hoosick Falls, New York drugstore window in 1938. In 1939, art dealer Otto Kallir exhibited some of her work in his Galerie Saint-Etienne in Manhattan. This brought her to the attention of collectors all over the world, and her paintings became highly sought after. Painting’s not important. The important thing is keeping busy. Grandma Moses was a prolific painter, generating over 3,600 canvasses in 3 decades. Before her fame, she would charge $2 for a small painting and $3 for a large. In November 2006, her work Sugaring Off sold at auction for $1.2 million. 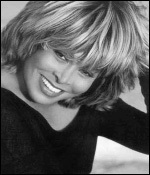 Tina Turner (born Anna Mae Bullock) is a singer whose career has spanned more than 50 years. I will never give in to old age until I become old. The 1970s ushered in a decline in popularity for Tina Turner. Add to this, Tina’s personal life and marriage began to fail, as her then-husband Ike’s drug use led to increasingly erratic and physically abusive behavior. After leaving Ike in 1976, Tina’s career stalled until she released the single “What’s Love Got to Do with It” in 1984. At age 44, she was the oldest female artist to have a number-one single. 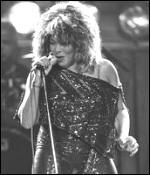 In 2005, Tina Turner was recognized by the Kennedy Center Honors at the John F. Kennedy Center for the Performing Arts in Washington, D.C. and was elected to join an elite group of entertainers. If you are unhappy with anything … whatever is bringing you down, get rid of it. As far as aging, Tina considers it to be a mindset: “I will never give in to old age until I become old,” she says. Late achievers not only enjoy their occupation, but the life experience of a person over fifty generally equips them with much more knowledge and wisdom than a person just starting out on their career path. Many can use that edge to develop an opportunity that not only serves a need, but also provides a lot personal enjoyment and gratification in the process. Copyright (c) 2009 by Jake Easton. All rights reserved.